left. A prominent knot in the tail is visible at the center of the image. 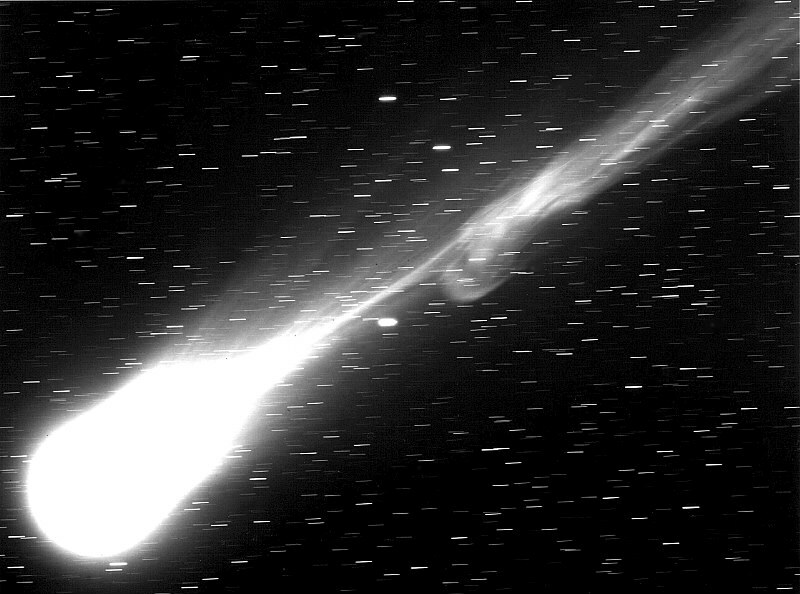 the comet's head during the exposure.